Dr. Christy Perez-Valle is a pathologist based in San Francisco, California. She is a board-certified specialist in anatomic and clinical pathology. Dr. Christy Perez-Valle completed her residency at the University of California San Francisco. 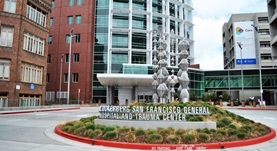 At the moment, she is affiliated with San Francisco General Hospital.